Phillip Lawrence Sharp age 56 of Mena, Arkansas passed away Wednesday, June 27, 2018 in Hot Springs, Arkansas. Mr. Sharp was born in Mena, Arkansas on October 6, 1961 to the late Joseph Sharp and Sue Bates Sharp. He was married to Brenda Dye Sharp for twenty-three years. Phillip worked as a carpenter by profession. He enjoyed working with leather crafts, fishing with family and friends and tinkering on cars. He was a loving husband, father, son, step-father, grandfather, brother, and friend to all and will be dearly missed. Brothers: Robert Vernon Sharp of Oxnard, California and James Leroy Sharp of Oxnard, California. He was preceded in death by his father Joseph Sharp. Mr. Sharp will be sent for cremation under the direction of Beasley Wood Funeral Home of Mena. Dovie Latisha “Tish” Robertson Norman age 56, of Sasakwa, Oklahoma formally of Mena, Arkansas passed away Sunday, June 24, 2018 in Holdenville. Tish was born on July 18, 1961 in Hot Springs, Arkansas to the late J.D. Robertson and Betty Berlene Priddy Robertson. She was married to David Norman and had a wonderful and fulfilled life together. 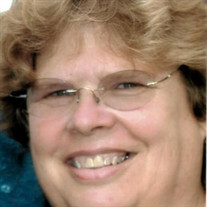 Tish enjoyed her family and was a friend to everyone she met. She loved her dogs and just loved animals in general. Tish was, by David’s standards, the most wonderful wife in the world. Tish was a loving wife, mother, grandmother, daughter, sister, aunt, and friend to all who knew her. She will be dearly missed. Niece: Cherish McAllister and husband Steven of Mena, Arkansas. She was preceded in death by her father, J.D. Robertson. Funeral service will be Thursday, June 28, 2018, at 10:00 a.m. at Beasley-Wood Chapel with Brother Victor Rowell officiating. Interment will follow in the Oden Cemetery in Oden, Arkansas. Visitation will be Wednesday, June 27, 2018 from 5-7p.m. 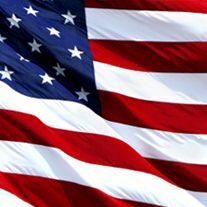 Pallbearers will be John Robertson, Donnie Dollarhyde, Nick Robertson, Ronnie Robertson, Larry Gross and Mondo Berruquin. Mary Jane Willis age 40, of Hatfield, Arkansas passed away Monday, June 25, 2018 in Mena. 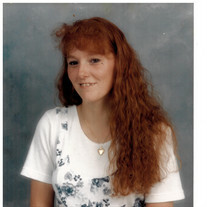 Mary was born on July 29, 1977 in Kellogg, Idaho to the late Glen Dale May and Gertrude “Trudy” Helms May. She was married to George Willis and enjoyed being a thoughtful and loving homemaker to her family. Mary Jane enjoyed camping and fishing with her family and friends. She liked to go to the Casino and loved her dog, Sal. Most of all she loved her family and spending time with them. Mary Jane was a loving and kind wife, mother, daughter, sister, aunt and friend to all who knew her. She will be dearly missed. She was preceded in death by her father, Glen Dale May. Funeral service will be Friday, June 29, 2018, at 2:00 p.m. at Hatfield First Baptist Church with Brother Todd Webb officiating. Interment will follow in the Owens Chapel cemetery. Pallbearers will be James Busby, Joe Bill Ward, Tyrell Pruitt, and Mike Floyd. 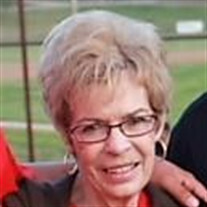 Helen Marie Voyles Priddy, age 74, of Mena, passed away Friday, June 22, 2018 in Fort Smith, Arkansas. She was born February 17, 1944 in Mena, Arkansas to the late David Thweatt and the late Vivian Hughes Thweatt. Helen loved going for rides and taking in the scenery with her husband, Junior Priddy. A bucket list item, that unfortunately was never achieved, was to own a 1956 pink and white Pontiac in which to take those rides. She enjoyed fishing, but most of all enjoyed and loved her family. Helen was a loving wife, mother, grandmother, great grandmother, step-mother and friend who will be dearly missed. 14 Grandchildren, 13 Great Grandchildren, numerous nieces, nephews, and a host of friends. She was preceded in death by her parents, David and Vivian Thweatt, and her brother, David Alton Thweatt. Funeral services will be Tuesday, June 26, 2018 at 10:00 a.m. at the First Assembly of God Church with Brother Ronnie Tilley and Brother Donnie Jewell officiating. Interment will follow in the Gann Cemetery under the direction of the Beasley-Wood Funeral Home. Pallbearers are Tim Hill, Rod Green, Jamie Ralls, Mitchell Priddy, Kaleb Brumbelow and Kyle Brumbelow. Honorary pallbearers are Clayton Brumbelow, Coy Brumbelow, Jerry Priddy, Aaron Burt and Cameron Reynolds. Martin Stinson age 66, of Mena, Arkansas passed away Saturday, June 16, 2018 in Mena, Arkansas. He was born in Las Vegas, New Mexico on August 2, 1952 to Hensley Stinson and Opal Lawrence. Martin was a truck driver in the transportation business. Martin was married to Barbara Wilcox. He proudly served his country in the United States Marine Corp. He enjoyed hunting and fishing with family and friends. He was a loving son, husband, father, grandfather, brother and friend to all who knew him. He was preceded in death by his father Hensley Stinson. Mr. Stinson will be sent for cremation under the direction of the Beasley Wood Funeral Home of Mena. Mr Evins was born May 28, 1940 to parents Ray and Mae Evins. Mr. Evins grew up in Mena, Arkansas where he attended school until he joined the United States Navy in 1960. Mr. Evins served for six years on board the USS Lexington air craft carrier during the Vietnam War. He enjoyed playing his guitar while attending the Mena Church of God and the Church of God in Texas. He loved playing Bluegrass Gospel on the Mena local radio station and at local churches. Above all he loved God and his family dearly. Mr. Evins worked as a truck driver for thirty years until he retired in 1986 due to health problems. 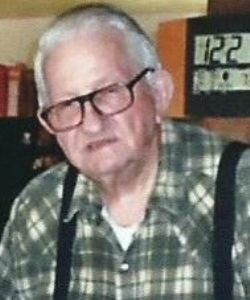 Mr. Evins is preceded in death by parents Ray and Mae Evins, sisters Ruby Dagenhart and Wanda Lance, son Raymond Evins, and daughter Rebecca Sue Mills. Pallbearers are Benjamin Williams and Nathan Williams. Graveside service will be Tuesday, June 26, 2018 at 2:00 p.m. at Gann Cemetery in Mena, Arkansas with Brother Dale Williams officiating. Arrangements were made under the Beasley Wood Funeral Home of Mena. Carol Ann Roberts, age 68 of Mena, Arkansas, died, Thursday, June 14, 2018 at Rich Mountain Nursing and Rehab. She was born on Sunday, April 16, 1950 to Kenneth Leon and Frances Florene Crowe Smith in Paris, Arkansas. Carol attended the Assembly of God Church in Mena. She was a homemaker for most of her life and took great joy from raising her children. She loved the outdoors and animals, but most of all, her family. Carol was a loving companion, mother, grandmother, daughter, sister, aunt and friend and will be missed by all who knew her. 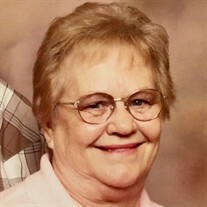 Carol is survived by her loving companion, Steve Ferguson of Mena; her mother, Florene Smith of Midlothian, Texas; two sons, James Pomraning, and Jonathan Pomraning both of Mena; one brother, Ken Smith of Nacogdoches; one sister, Darlene Teeter of Midlothian, Texas; two grandchildren; several nieces and nephews and a host of other relatives and friends. A memorial service will be Thursday, June 21, 2018 at 1:00 P.M. at the Bowser Family Funeral Home in Mena with Brother Ron Tilley and Earl Teeter officiating. Cremation services are entrusted to Bowser Family Funeral Home in Mena, Arkansas. Margie Ruth Alston age 82, of Mena, Arkansas, passed away Friday, June 15, 2018 in Little Rock, Arkansas. She was born in Hodgens, Oklahoma on August 29, 1935, to the late Clarence David Dowell and the late Cleo Elizabeth Keith Dowell. Margie was married to Fred Alston for forty-one years, sharing a long life of family and love until his passing in July 2016. She enjoyed crocheting, taking walks outdoors with her dog, “Baby” and loving on her cat, “Gracie”. She was an avid sports fan of the NBA Basketball and the Razorbacks. 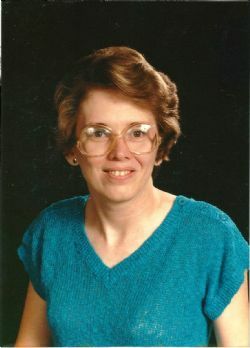 Margie was an active member of the Concord Baptist Church. She enjoyed gardening and cooking for her family. Above all she loved God, family and friends. She will be dearly missed by all who knew her. Margie was a loving and thoughtful mother, grandmother, great-grandmother, sister, aunt and friend to all. She was preceded in death by her husband Fred Alston, parents Clarence and Cleo Dowell, sister Helen Bowman, father-in-law and mother-in-law Gilbert and Jewell Alston, and sister-in-law Janet Corcoran and a son Eddie Lee Hurst. Funeral service will be Monday, June 18, 2018 at 2:00 p.m. at Concord Baptist Church with Brother Bernard Rusert and Brother Jerry Taylor officiating. 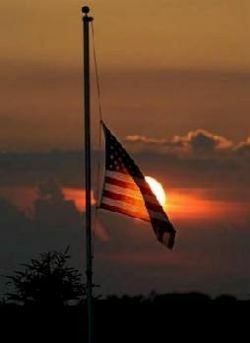 Interment will follow at Concord Cemetery in Ink, Arkansas under the direction of the Beasley Wood Funeral Home of Mena. Pallbearers will be Eddie Price, Seth Guinn, Rick Cole, James Gentry, Nick Pate and Mark Cannon. Honorary pallbearers will be Her Grandsons. Bertrand Odis Sanders, age 87, of Mena, Arkansas, died Saturday, June 9, 2018 at home. He was born on Saturday, March 28, 1931 to Odis Lee and Haddie Louise Bismark Sanders in Wickes, Arkansas. Bertrand served in the United States Navy. He worked at US Motors for over 25 years before retiring. After retiring from Motors he was a door greeter for many years at Wal-Mart. He loved his wife, Ola Jean and tinkering in his workshop. Bertrand was a loving husband, father, grandfather, brother, uncle and a great friend who will be missed by all who knew him. 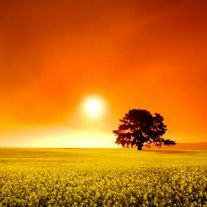 He is preceded in death by his parents; and one brother, Jerome Sanders. 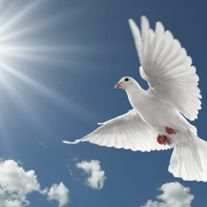 Bertrand is survived by his wife, Ola Jean Sanders of Mena; one son, Byron Sanders of Fresno, California; one brother, Leeroy Sanders of Hatton; one sister, Leola Rye of Cove; several nieces and nephews and a host of other relatives and friends. Memorial services will be held at a later date. Cremation services entrusted to Bowser Family Funeral Home of Mena, Arkansas. Mr. Marion William Manning, age 83, of Mena, Arkansas passed away Saturday, April 21, 2018 in Mena, Arkansas. He was born July 14, 1935 in Black Springs, Arkansas to the late Henry Arthur Manning and Jessie Lorene Hughes. Bill, always Mickey to his wife, graduated in May, 1954 from Hico High School in Ruston, Louisiana. Bill was united in marriage to Roberta in California on January 18, 1958. We lived and traveled all over Europe – what fun and an education for all of us. He retired after 20 years in San Antonio, Texas. He graduated from Lady of the Lake University and earned his CPA. Bill loved to fish, hunt and play golf. He was an avid sports NBA fan. The 10 years before retiring, he became President of a corporation owned by a Japanese family who owned multiple golf courses and country clubs in San Antonio. They spoke no English and Bill’s southern tongue couldn’t quite handle Japanese, but it was fun and he loved them all and the job. Then it was time to retire to the green mountains of Arkansas and his “white cows”. Bill enjoyed coaching little league baseball, playing basketball, hunting, fishing and golfing. He was a member of the U. S. Air Force and he and his family traveled all over Europe, stationed in Spain and later in the mountains of Germany. He was always a Christian, a gentleman and a wonderful man, husband, father, grandpa (Pawkey) and always had time for us. We will miss him until we meet again in God’s Heaven. Special daughter: Annabelle Eckert of Frankfurt, Germany. He was preceded in death by his parents, brother Calvin Manning, sister Hazel Irene Napper and infant son Michael Alan Manning. Bill was sent for cremation under the direction of the Beasley-Wood Funeral Home. A Memorial Service will be held at 2:00 p.m. Saturday, June 16, 2018 at Sulphur Springs Cemetery in Sulphur Springs, Arkansas with Rev. Kenny Fant officiating. Mrs. Patricia Gail “Pat” Peek of Mena, Arkansas passed away Friday, June 8, 2018 in Mena surrounded by family. Pat was born on June 2, 1942 in DeQueen, Arkansas to the late Roscoe Cleveland Chambers and the late Glenda Imogene Gilbert Nichols and was happily married to Mike Peek for 58 years until his recent death in May of 2018. She owned and operated the Plum Tree Dress Shop in Mena for 14 years and enjoyed reading and working in her flower beds when she was able. She was also an avid Razorback fan. Pat truly enjoyed spending time with her family and friends and was a loving wife, mother, grandmother, great grandmother and sister and will be dearly missed by all including her little dog Precious. She was preceded in death by her parents, her brother Glen Chambers, and Brother-in-law Charles Lukens. Funeral Services will be Tuesday, June 12, 2018 at 10:00 a.m. with Brother Daniel Morris officiating at Beasley Wood Funeral Home. Interment will follow in Pinecrest Memorial Park under the direction of Beasley Wood Funeral Home. Family and friends visitation will be Monday, June 11, 2018 from 6:00-8:00 p.m.
Pallbearers will be Chase Peek, Tate Mendoza, Reed Mendoza, Matt Bush, Quentin Meredith and Danny Hurst. Norma Lee Mitchell Drager 75 passed away Sunday, June 3, 2018. Funeral service will be Saturday, June 8, 2018, 1:00 p.m. at Board Camp Baptist Church in Board Camp, Arkansas. Interment will follow at Liberty Cemetery in Board Camp, Arkansas under the direction of the Beasley Wood Funeral Home of Mena. Family and friends visitation will be Friday, June 8, 2018 from 6:00-8:00 p.m. at Beasley Wood. 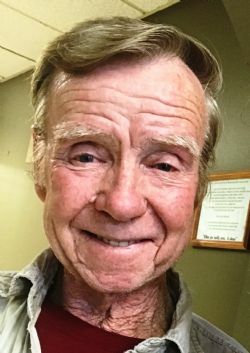 George Aaron Heath, age 73, of Mena, died Tuesday, June 5, 2018 at the Rich Mountain Nursing and Rehab in Mena. He was born on Sunday, December 17, 1944 to Robert Steve and Laura Belle Lewis Heath in Hartford, Arkansas. Aaron as he was known to all, loved people and helping them in many different ways. He was charitable with his time and talents. Aaron served in the United States Army during the Vietnam War and was proud to have served his country. Aaron was a truck driver most of his life and loved to tinker on his old cars. He loved his family and spending time with them. Aaron was of the Baptist faith. Aaron was a loving father, brother, uncle and a great friend who will be missed by all who knew him. He is preceded in death by his parents; six brothers, Bill Heath, Jesse Heath, Hoppy Heath, B.J. Heath, Dink Heath and Robert Dale Heath and three sisters, Ellen Johnson, Virgie Heath and Helen V. Heath. Aaron is survived by his children, Aaron Heath of Seminole, Texas, James Heath and wife, Kyrsten of Big Spring, Texas and Susan Deschenes and husband, Brian of El Paso, Texas; his brothers, Dean Heath of Waldron and Delton "Slugger" Heath of Mena; two grandchildren, Sean and Joshua Deschenes; several nieces and nephews and a host of other relatives and friends. Funeral services will be held Saturday, June 9, 2018 at 10 AM at the Bowser Family Funeral Home Chapel in Mena with Brother Jack Smith officiating. Interment will follow in the Board Camp Cemetery. Visitation will be held Friday, June 8, 2018 from 6-8 PM at the Bowser Family Funeral Home Chapel in Mena. Mrs. Olivia Marie Martin Moreland,88 of Conway, passed away Saturday, June 2, 2018 at her home. Olivia was born in Mena, Arkansas on August 14, 1929 to the late John Wesley Martin and Olivia Boberg Martin. She was married to the late John Clifton Bain for many years. Mrs. Moreland was an LPN during her working career. 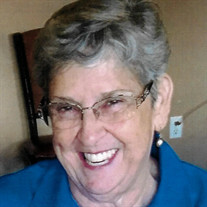 Marie loved to laugh and spend time with her grandchildren. Mrs. Morleand also enjoyed country western dancing, and continued dancing into her 80’s. She will be deeply missed by all who knew her. She was a loving mother, grandmother, sister, and friend to all. She was preceded in death by her parents, John Wesley and Olivia Martin, her husband, John Clifton Bain, brothers John Wesley Martin, Jr., Dalton W. Martin(Potts), and Norman Martin, sisters Julia Ellen (Sudie) Loyd and Doreen Morgan, and a granddaughter Emma Elrod. Funeral services will be Thursday, June 7, 2018 at 2:00 p.m. at the Beasley-Wood Chapel with Brother Larry Pilliow officiating. Internment will follow at Pinecrest Memorial Park in Mena, Arkansas under the direction of Beasley-Wood Funeral Home of Mena. Mystrey Joie James entered the world on Saturday, May 31, 2008 and left too soon on Saturday, June 2, 2018. 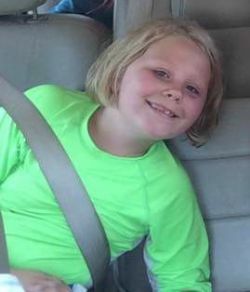 She was 10 years old.Mystrey just finished the 3rd grade and attended Arkansas Virtual Academy. She loved animals and wanted to be a veterinarian when she grew up. She was involved in scouting and the Ouachita Little Theater. She was full of energy, imagination, and giggles. She loved making art and anything with sparkles. She attended First Baptist Church in Hatfield. Mystrey had a big heart and never met a stranger. She loved adventures. Mystrey was a loving daughter, sister, granddaughter, niece, cousin, and friend. She was survived by her parents, Tommy and Amanda Broach of Nashville, Arkansas; one brother, Gabriel Jackson of Nashville, Arkansas; one sister, Patience Broach of Nashville, Arkansas; paternal grandparents, Carl and Mary Broach of Vandervoort, maternal grandmothers, Ronda Moore and Betty Moore of Mena, Arkansas; Robert Jackson and family, and many aunts, uncles, and cousins. A memorial service will be held Friday, June 8, 2018 at 2:00 pm at the First Baptist Church in Hatfield, Arkansas with Brother Scott O' Rear officiating. Cremation services are entrusted to Bowser Family Funeral Home in Mena, Arkansas. In lieu of flowers the family is requesting new stuffed animals be donated in Mystrey's honor and then will be donated to the Arkansas Children's Hospital after the service. Billy Walker, age 79, of Cove, Arkansas, died Friday, June 1, 2018 at Rich Mountain Nursing and Rehab. He was born on Saturday, February 18, 1939 to George Franklin and Hazel Mildred Vantrease Walker in St. Joseph, Missouri. Billy loved his country and served in the United States Army for 30 years as well as the United States Marine Corps for 4 years. He enjoyed working on cars and shooting his guns. Billy was a great thinker and was a very patient man. His wife was the most important guiding light in his life. Billy was a member of the NRA and was very proud of his time spent with the military serving the country. Billy was a loving husband, father, grandfather and a great friend who will be missed by all who knew him. 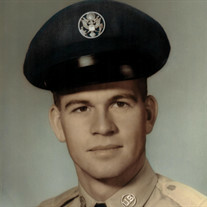 Billy is survived by his wife, Marilyn Walker of Cove; two sons and daughter in law, Greg and Debra Walker of St. Joseph, Missouri and Jay Walker of Cove; three grandchildren, Alexis Walker, Trenten Walker, and Luke Walker all of St. Joseph, Missouri; and a host of other relatives and friends. Funeral services will be held Thursday, June 7, 2018 at 10:00 A.M. at the Nobel Center in Cove with Brother Steve Squires officiating. Interment will follow at the Pleasant Grove Cemetery in Cove. General visitation will be during business hours at Bowser Family Funeral Home in Mena. Kent Shrader age 67 of Mena, Arkansas passed away Saturday, June 2, 2018 at Baylor Medical Center, in Dallas Texas. Kent was born in Mena, Arkansas on March 7, 1951 to the late Addis H. Shrader and the late Clarica Plevan Norris Shrader. He was happily married to Dixie Southern Shrader for 42 years. He retired from Mena Wal-Mart in 2016 after 20 years and was a lifetime cattle rancher. Kent loved outdoor hobbies such as fishing and hunting with family and friends. He took pride in helping several people kill their first deer, turkey, squirrel, or hook their first fish. Above all he loved his family and grandchildren deeply. He was a thoughtful and loving husband, father, Poppy, brother, uncle and friend to all. 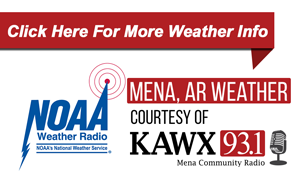 Sister: Regina Walker of Mena, Arkansas. 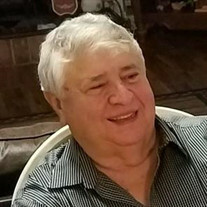 He was preceded in death by his parents Addis and Clarica Shrader, brothers Bobby Joe Norris and Rodney O. Norris, brother-in-law Larry D. Walker, and sister-in-law Kathy Shrader. Funeral services will be Friday, June 8, 2018 at 2:00 p.m. at Beasley-Wood Chapel with Brother Donnie Jewell and Brother Deno Weingarten officiating. Interment will follow at the Mollie Gann Cemetery in Potter, Arkansas under the direction of the Beasley-Wood Funeral Home of Mena. Family and friend’s visitation will be Thursday, June 7, 2018 at Beasley-Wood from 6:00-8:00 p.m. In lieu of flowers memorials may be made to any veteran’s organization or the charity of one’s choice. Pallbearers are Bill Wetherington, Burt Nichols, Phillip Hatley, Dean Terrell, Tony Lambert, Steve Golden, Mike Jackson, Sr., and Dennis Rowe. Honorary pallbearers are Joe Murphy, Gary Boone, Dr. Richard Calleton, Shone Rose and Johnny Seavers. Bethel Hicks, age 100 of Sims, Arkansas and went to be with her Lord and Savior on Saturday, June 2, 2018. 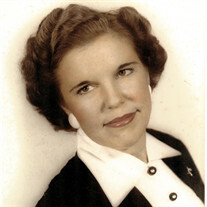 She was born January 12, 1918 to the late Thomas Houston Hicks and the late Melvina Willhite Hicks. She was a teacher by profession. Mrs. Hicks was the caretaker of the family. It made her happy to make sure others had what they needed even if it meant her doing without. 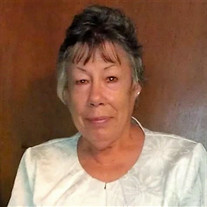 She loved her family and church, being a member of the Pine Ridge Union Church. In the past, when she was able, she would prepare Sunday dinner for the preacher. She didn’t have any children or grandchildren of her own but was considered mother and grandmother to many. Mrs. Hicks was a loving Christian woman and will be dearly missed. Survivors are any nieces and nephews and a host of friends. She was preceded in death by her parents, Thomas and Melvina Hicks and her brothers and sisters Dora Howard, Kirby Hicks, George Hicks, Leona McBride, Gilbert Hicks, Wesley Hicks, Grace Chambers, Wilford Hicks, Glen Hicks and Clifford Hicks. Funeral service will be Tuesday, June 5, 2018 at 10:00 a.m. at the Pine Ridge Union Church with Brother Randy Deramus officiating. Interment will follow in the Pine Ridge Cemetery under the direction of the Beasley-Wood Funeral Home. Visitation will be Tuesday morning at 9:00 a.m. before the service at the Pine Ridge Union Church. Pallbearers will be Travis Quinn, Derek Quinn, Colton Milam, Clayton Milam, Rodney Milam and Marty Taylor.